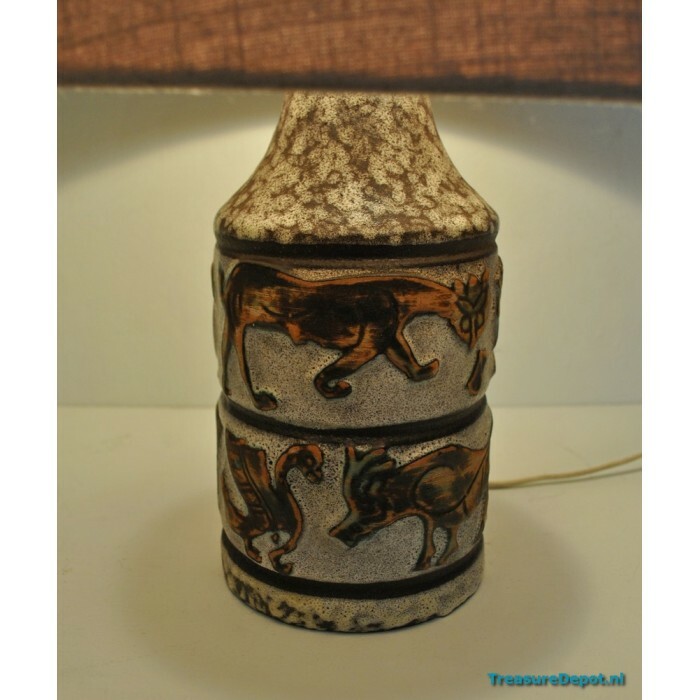 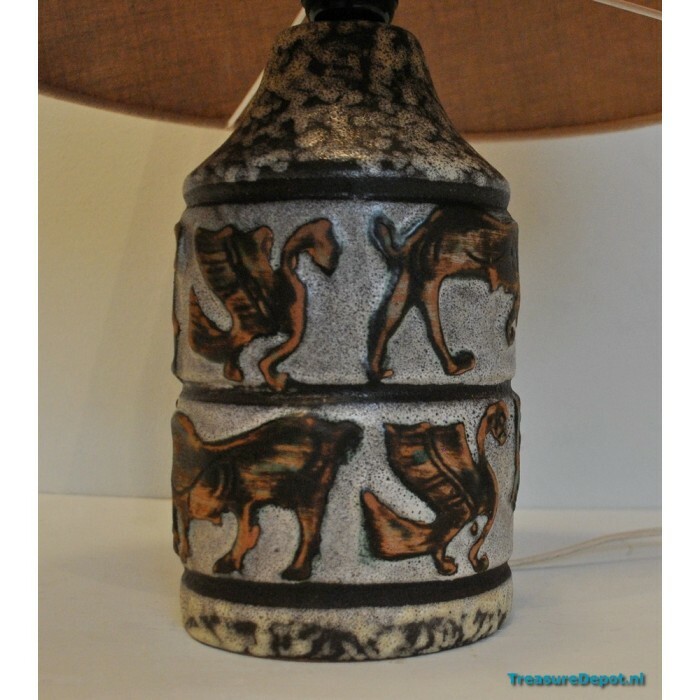 Table lamp with ceramic base with images of animals. The height is 62cm, ahde incl. 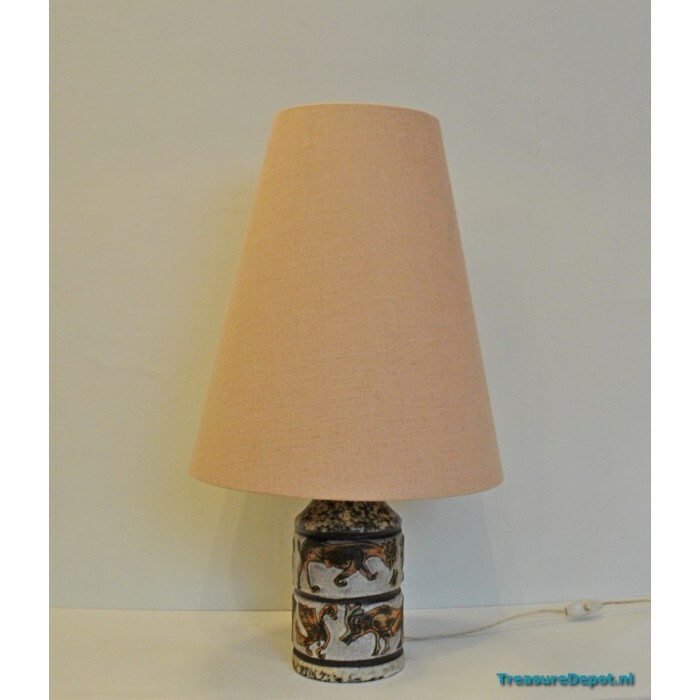 The height of the base is 23cm. 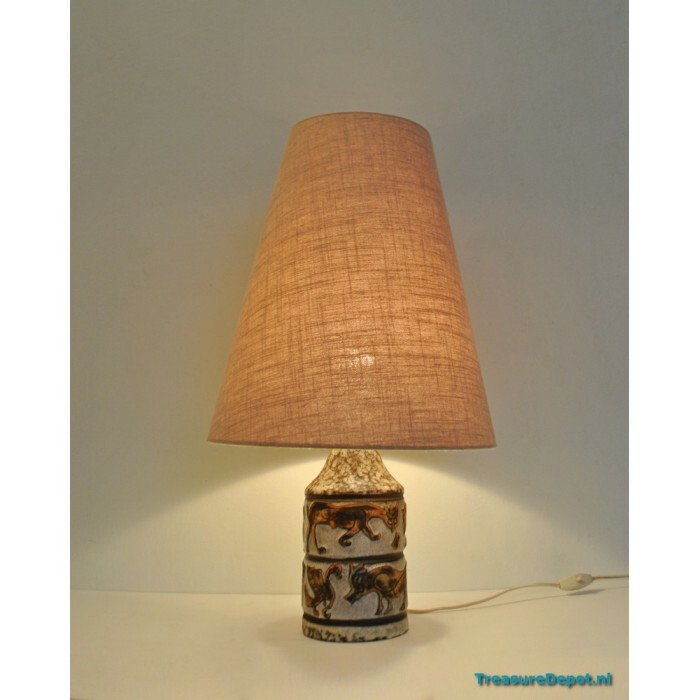 The lamp is in excellent condition.